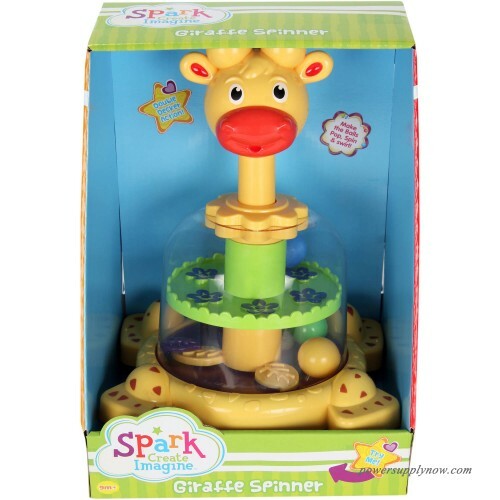 Brighten up your child's playroom with loads of fun and entertainment from Spark Create Imagine Giraffe Spinner. This colorful giraffe spinner has two tier activity, hence it provides double the excitement. 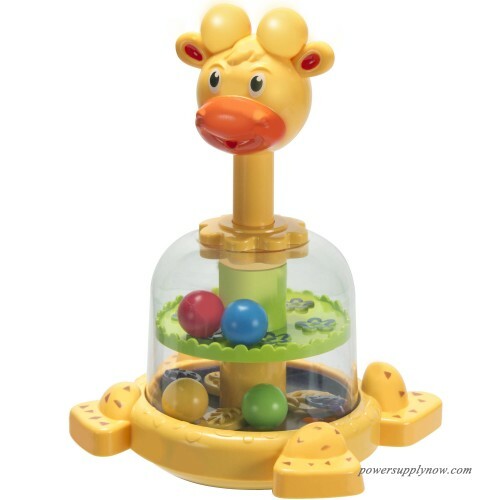 Make the balls pop, spin and swirl as your child presses the giraffe down and rotates the disks. The giraffe head recoils for constant spinning action and makes its way back up. It is made of durable plastic that ensures it can withstand rough handling. This spinner provides visual and auditory stimulation, and helps in development of new skills in your child. Keep your little one engaged in joy and laughter throughout the day and encourage learning about new activities with this Spark Create Imagine Giraffe Spinner. Spark Create Imagine range of toys from Walmart delivers quality products that are designed to foster creativity in children as they explore the world around them. The fun, interactive toys keep children engaged and stimulated, and help them develop a variety of skills.